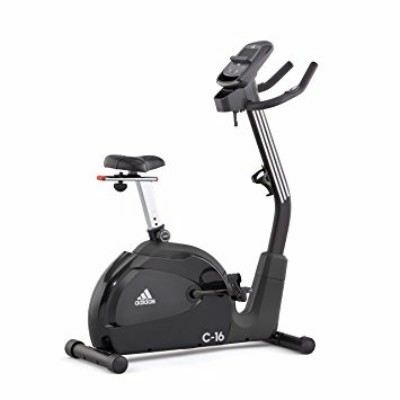 The Spinner Edge Premium Authentic Indoor Cycle – Spin Bike with Four Spinning DVDs is a fitness machine with many helping and user-friendly features. These features although make it a good bike but it failed to reach the level of customer satisfaction and sadly it was only rated 3 out of 5 stars, which is low ranking. Exercise bikes are getting more of an everyday item now. For the busy people, who don’t have enough time for running or exercising this might be the best way to burn calories fast. Such bikes allow one to cycle while doing other jobs too such as using their laptops or attending a phone call; Treadmills do not. Selecting the best is often a difficult decision but the reviews on our website give you an honest word on the product, after which one can easily decide whether to buy the product or not. So today we are here with a review of the Spinner Edge Premium Authentic Indoor Cycle – Spin Bike with Four Spinning DVDs. Unstable exercise bikes were getting an irritating problem recently. Therefore, Spinner Company came up with the Edge Premium Bike which has a commercial style frame. This frame is made up of metal which not only imparts strength to it but makes the bike stable. To stabilize the Spinner Edge Premium Spin Bike further, the manufacturer integrated a much heavier 40lb. Flywheel. This flywheel also creates an even momentum in the bike thus, increases the efficiency of your cycling. If you want a bike which is comfortable enough for you and it is fully adjustable then the edge premium is made for you. This bike has a fully adjustable seat, up or down, forward or backward. Therefore, you can enjoy a comfortable exercising experience. The seat of the Spinner Edge Spin Bike is fully padded and wide enough to support heavier individuals. However, keep in mind that the maximum recommended weight limit is 350 lbs. The Edge Premium is a bike with many helping features. It even features a dual water bottle holder, which supports two bottles of any size. The verdict is unexpectedly negative for this because the customers found that this product is not worth what demanded. Many other exercise bikes are available with much more features, lesser noise, at a reasonable price. Therefore, this bike should not be bought for the gym or home use.